Grown throughout India, neem tree is well known not only for its medicinal properties but also for taking care of environmental issues. Neem trees are native to India and other parts of Asia and are known as Margosa Tree in English and their botanical term is Azadirachta Indica. Neem is a multipurpose herb and because of its exceptional medicinal properties of curing illness, it is often referred to as “plant with a promise”. In ancient Vedas, neem tree is referred to “Sarva Roga Nirvarini” – one capable of curing every illness and ailments. Neem has been used in India since thousands of years and is used extensively in many Ayurveda medicines for its disease fighting properties. Every part of the tree, branch, leaves, barks, fruits, flowers and root are extremely beneficial as they contain azadirachtin compound which gives neem its anti-bacterial, antifungal and anti-parasitic properties. Neem is extremely beneficial in treating various infections and strengthening the immune system. Besides its several health benefits it is also used in a variety of household products. Neem is a safe product to use and does not lead to any side effects. 1. Weekly application of neem oil can result in healthier scalp and healthy hair. Massage the oil well into the scalp and leave it overnight or apply it prior to washing. When using neem oil, dilute it with some other carrier oils like almond oil or coconut oil as neem is a very strong oil and has a strong smell which people with sensitive noses might find difficult to tolerate. Apart from the odour, the concentrated nature of neem oil may cause reactions to people with sensitive skin. 2. Neem oil is a natural cure for dandruff and dry scalp. Many dandruff shampoos utilize neem oil and regular usage can prevent dandruff from forming. Neem shampoo is the most convenient way to prevent other scalp ailments like itchy scalp and psoriasis. Regular application of the oil can also help to resolve thinning issue as the oil promotes hair growth and strengthens hair from the roots. 3. Neem oil can also be used to condition rough and frizzy hair. Add a few drops of oil to the shampoo and then apply the shampoo on your hair and leave it for a while. The hair will retain a nice shine once the hair gets dried. 4. Neem oil is a safe way to remove head lice. Other chemical products to remove lice can lead to several undesired effects on the scalp. Leave the neem oil overnight and then comb with a nit comb to remove lice. Neem oil does not have any adverse effects and there has been no allergic reaction to neem. 5. Neem hair oil is also known for its ability to increase hair growth. It can be used to counter the effects of hair thinning due various reasons including stress, medication, pollution and more. It promotes hair growth and improves the quality of your hair at the same time. Neem oil is loaded with nutrients and is used in a variety of lotions, creams soaps and of course cosmetics. It is extremely beneficial for eczema prone skin and will benefit people who suffer from psoriasis and acne. Its astringent properties help to cure minor cuts and wounds. Probably this is the reason ointments carry neem oil as it primary component. Neem oil helps to relieve dry and itchy skin. 6. Neem contains high level of antioxidants which protect the skin from environmental damage. It also contains carotenoids which provide high antioxidants that defend the skin against age promoting free radicals. Neem oil is high in essential fatty acids and Vitamins. It gets easily absorbed by the skin and rejuvenates it and improves its elasticity. With regular usage, neem also smoothens wrinkles and fine lines, thus fights the signs of ageing. 7. Neem oil is ideal for acne prone skin because it clears up pimples and removes bacteria that cause break outs. Neem oil contains aspirin like compound which removes the acne causing bacteria from the skin. It also helps to reduce redness and inflammation. The high fatty acid content in neem oil prevents and treats scar that occurs because of acne and is non comedogenic. It can also be used as a face mask to remove the entire impurities ad tightens the pores. 8. The root of eczema mainly lies in the genes and runs in the family. Neem oil helps to relieve eczema symptoms but cannot cure the root cause of eczema. Since neem is particularly high in Vitamin E and fatty acids, it quickly penetrates the outer layer of the skin restoring the protective barrier and prevents moisture loss. Its ability to reduce inflammation and heal abrasion soothes eczema irritation. The nimbidin and nimbin compounds and the neem oil help to relieve redness and swelling. It also helps to heal dry and damaged skin. Its antiseptic properties keep infections at bay. 9. Fungal infections of the skin like ring worms, nail fungus and atheletes foot are quite common. Neem being one of the most powerful anti-fungal agents available in nature makes for a good replacement for the over the counter creams that are available at the pharmacists. The two compounds from the leaves of the neem responsible for this are the gedunin and nimbidol. These compounds destroy the fungi that causes this infection. Tests have proven that neem oil is effective on 14 different cultures of fungi. 10. Dental care products like toothpaste, mouth wash, and rinse contains neem oil as it has antiseptic properties which keep teeth and gum healthy and infection free. 11. It is used in preparing medicines that treat diabetes, arthritis, blood disorder and digestive problems. 12. Skin care companies often include neem oil in their cosmetics as an essential oil. It is extremely popular in all products of aromatherapy that help to restore mental health. 13. This is a multipurpose oil and is also used in the production of pesticides, fungicide and germicide which makes it a valuable component for agricultural purposes. Its active ingredients inhibit the growth of insects by interrupting their life cycle. 14. Neem oil is also used in various pet care products. Neem pet care products are helpful to deter ticks and fleas as well as controlling mange, hot spots, scabies and other skin diseases in animals. Neem oil is powerful enough to kill ticks and lice in pets and also prevent the re -occurrence to a certain extent when added to their shampoo. We can also spray this in the area where your pets usually spend time to prevent them from contracting them again. 15. Neem oil is an excellent repellent for a wide variety of common garden bugs including caterpillars, nematodes, locust’s beetles and mites. At home neem oil can combat ant, cockroach and termite infestation. 16. Neem oil can also be used a deterrent for grounds of mosquito breeding. Emulsify the water in the area with neem oil and the odour will discourage mosquitoes from breeding in that area. 17. Mix neem oil and dish washing liquid in equal proportions well and transfer to a spray bottle. This solution can the be used to preserve your plants by spraying the leaves, barks and roots also. 18. But if you already are facing the trouble of mosquito infestation apart from using neem oil to prevent breeding, you can also use it to ward them off. 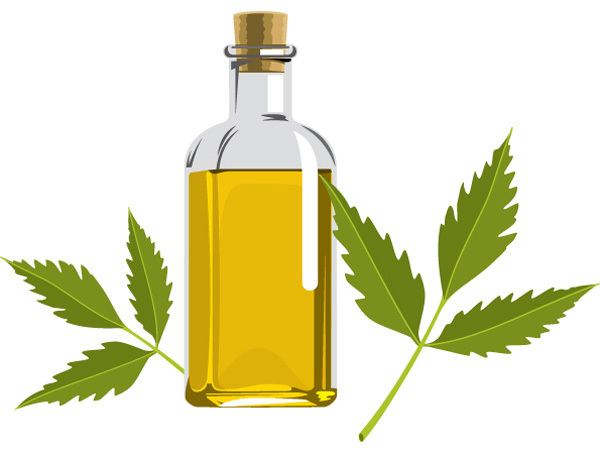 Add 10% of neem oil to your lamp oil and allow it to burn. The odour will ward off the mosquitoes. 19. Cleaning the carpets and mattress thoroughly is one of the biggest troubles. You can get the grime off but then removing the bacteria is the hardest isn’t it? Just add neem oil to your carpet shampoo and spray your mattress with neem oil to remove all the mites, bacteria or fungi that might have made their breeding ground there. 20. Neem oil can also be used to treat minor cuts and wounds. Mix neem oil and vaseline in the proportion of 1:5 and then allow it to be.